Chris MacLean is an award-winning singer-songwriter and engaging performer. 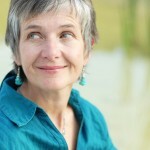 Her experience onstage and in the recording studio is extensive and includes; as a dynamic solo artist; as vocalist with Indo-Canadian ensemble, Galitcha; as one of Frida’s Brow, a folk trio nominated for Canadian Folk Music Vocal Group of the Year (2008) and as a backup singer with renowned folk artist, Ian Tamblyn. She has 2 solo CDs of original songs and has recorded with many others. Her career spans 20+ years of composing and performing folk, world, jazz and old-time music and has taken her across the globe. In 2012 she traveled to South Africa for an intensive 7-month training in Voice Movement Therapy, an expressive arts therapy that primarily focuses on the voice as a vehicle for greater self-expression. Chris invites anyone desiring a stronger, more expressive & confident voice to work with her. Salah has fostered a love for music and percussion from a very young age. His exposure to world music has shaped his own style of percussion playing, particularly in his specialization of djembe, conga, and drums. 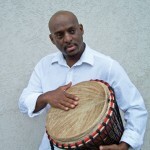 As a hand and drum kit percussionist of many acts and local bands, including Afrobeat Project and Nile Groove, Salah plays a steady groove with hands and sticks. Born in Japan, Ryoko Itabashi has been involved in music since she was a child. She played violin and piano in Elementary and Junior high school, but found her true calling as an adult in traditional Japanese instruments. The first of these was the Japanese drum, Taiko, which is played in an ensemble. She then learned the bamboo flute, as well as the Tsugaru Shamisen from the late Rinshoji Kida, a well-known Shamisenist in Japan. Since moving to Canada in 2009, she has been playing Tsugaru Shamisen at various venues in Montreal. She hopes to continue to fulfill her lifelong dream of sharing Japanese music and culture with the world. Multi instrumentalist Joel Jacques has been an avid Ukulele enthusiast for a long time. Always one for hauling out the guitar and making music for others to sing to, Joel has always been attracted to the “make music now” aspect of the Ukulele. His not-so-guilty fascination with the instrument began over a decade ago when he began buying, gifting, and teaching ukulele to friends and family. Not only has Joel worn a number of different hats at the Folklore Centre (Retail Manager and most recently Purchaser), but is also a seasoned performer who has a ton of experience with everything from French Canadian Trad, to Flamenco, to Indie Rock (the Ottawa based ‘Murder Plans’). Joel looks forward to developing Ukulele teaching programs in the Ottawa area and promoting the instrument to current and future Ukulele converts. An expansive singer-songwriter and multi-instrumentalist, Arif inspires open hearts and minds. His passions for word and sound will enchant you into community and community into communion. At the OSHC, Arif will share his magic on the sitar, a classical Indian stringed instrument. His artistic journey began with songwriting in 1995, as a 19 year old freshly experiencing the freedom and challenges of independence. He continued self-teaching on guitar as well as learning Indian Classical sitar, writing poetry and songwriting. He completed his first album in 2011. Now, 2013 he received a grant from Ontario Arts Council to pursue his career as a sitar player. David Finkle has been called a 'Renaissance man'. Hailing from Tyendinaga Mohawk Territory in southern Ontario, he is an award-winning multi-instrumental recording artist versed in many musical genres. He's a sound engineer, a storyteller, a producer, drum maker and has completed many scores for various theatrical productions. 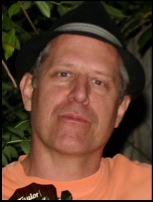 Ken Kanwisher has worked as a bass & lately cello, accordion, and keyboard player. 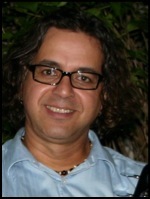 He has also been a studio owner and music teacher in Ottawa. As a bass Player He has worked with Charlie Major ,Ian Tamblyn Amanda Bon, Natalia&Montuno,Sneezy Waters,Terry Tufts, Maurice Boyer The NAC Orchestra, has led his own Jazz Quintet The Sugarsticks.and has worked in many theatre (Forever Plaid,Kiss Of the Spider Women, Satin, Hank Williams the show he never gave,The Patsy Clyne Review) & television productions ( The Junos,The Country Music Awards, The Mike Bullard Show, The Rita MacNeil Show) and has played on many albums. As a studio owner/engineer/musician he has recorded many albums & film music.with Ian Tamblyn,Natalia&Montuno,Alise Marlane,Russell Levia,Earth Juice,Drew Nelson,Tony Turner,Paul Bourdeu,Wolf Moon,Sherryl Macleod,The Sugarsticks,Jim Cochrane, reFrayne chamber Jazz Quintet,and Many Others. Originally from Europe, accordionist and keyboardist Denis Turkanovic comes from a musical family, with his father an accordion teacher and his brother a guitar player. He first began playing accordion at the age of five, and later studied classical accordion at a music conservatory. After graduation he worked with many ensembles and toured all over Europe. As a university undergraduate in Canada, he took jazz lessons and played piano in the Bishop's University Jazz Ensemble. He has collaborated with many bands in Ontario and Quebec on various live and studio projects. One of his latest music projects was an eleven-piece soul 'n' funk band in which he played keyboards. Member of Main Street Market Band. Paul Weber is a Canadian singer, songwriter, guitarist and the founder of world music band Cheza. His music combines styles from Canada, Brazil and Africa, all places he has lived and made music.Member of Main Street Market Band. Kathy Armstrong is a percussionist and educator who is well-known for her work in bringing Ghanaian music and dance to choirs, schools and community groups in North America and Europe. She received her Master’s of Music from the University of Toronto, and has studied extensively in Ghana since 1990. Performance highlights include soloist with the Rochester Philharmonic orchestra, the NAC Orchestra and at Expo 98 in Lisbon. In addition she has been artist-in-residence at Queen’s University and University of Wisconsin-Madison. She has twice been the keynote presenter at the Scottish Association for Music Education’s National Conference, and recently co-produced the IGNITE! Creativity Forum. Her commitment to community development and cross-cultural understanding informs and strengthens the inherent power of this art form. Based in Ottawa since 1994, she teaches at Carleton University as well as directing Baobab Community. Colour of Diversity is a group made up of 11-17 year-olds based in Barrhaven, Ottawa that play African marimba music. 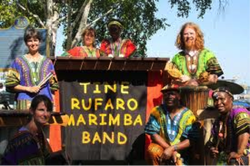 This group of 8 people play interlocking rhythms and melodic lines that are associated with the joyful, uplifting musical style from the Shona speaking people of Zimbabwe. This group’s name reflects the racial diversity of the group. The group was formed in the fall of 2008 by Zvondai Muchenje to provide an opportunity for youth to learn and enjoy the musical rhythms of Zimbabwe. The group has played at several events including fundraisers, private parties, and senior homes in and around Ottawa. Colour of Diversity has also had the wonderful opportunity to play at the Ottawa Expo in 2009. Zvondai Muchenje aims to share his cultural passion for traditional Shona music and his musicianship and leadership skills, especially with youth and the greater community, to foster cross-cultural appreciation and understanding as well as contribute to peace-building and fellowship efforts both locally and globally. She was born in Tehran (capital) Iran. Kati started to learn music when she was 9 -year-old-girl in art school. After the Islamic Revolution music became forbidden and all of the music centers and schools closed. She got a degree in Economy. After 8 years music was accepted again and two very important universities opened officially. She graduated in music from Art University. She worked with many music groups as player and composer. Also founded women music group and opened her own music institute. Sandie Yip (Wan Yi) began her formal guzheng discipline in year 2002 and is currently a guzheng instructor at a certified educational institute in Ottawa. Sandie performs as a soloist, in duos, and in a Chinese-Western chamber orchestra. She also performs with "Beiguo Traditional Chinese Instrument Band" and duo with a wind instrument player in "Silk and Bamboo Ensemble". Since 2009, Sandie is privileged to become a member of Guan Yadong's Pipa/Guzheng duo and "Musique Sacree de Chine" projects. Together this group has performed in various Canadian venues including: the National Arts Centre in Ottawa, the Sarnia Concert Series, the Oakville Centre for Performing Arts, the National Art Gallery of Canada, the L' Astral and the Lion d'or in Montreal. Among many concerts, two were recorded live for CBC Canada and Rogers TV for a program "Reflections of China". Recently, Sandie provided guzheng accompaniment for Pipa Master Lin Jianqing's 2015 concert in Ottawa Master Lin Jianqing is from Beijing and is a certified first class performer in China. Trio ensemble with Master Zhang ChangGong in 2017 Music & Beyond - The Silk Road Concert. Master Zhang ChangGong is from Shandong and is a first class Bamboo Flute performer in China. Sandie involves heavily with CHEO annual charity concert since 2006 till present. She is also active performing in music festivals, school projects, cultural and various events throughout the National Capital Region.